Rooftoppers provides expert roof repair services throughout Southern California. We offer fast service, affordable rates and honest advice, and our lasting workmanship uses only the highest quality roofing materials. With more than 30 years of experience in the industry, we take pride in each job we do, and we treat every home or business as if it were our own. Our technicians have the experience and knowledge necessary to diagnose, pinpoint and resolve all types of roof issues in residential, commercial and industrial roofing systems, including clay and cement tile roofs, cap sheet and gravel flat roof systems, metal tile and standing seam roofs, wood and cement shake roofs and wood and composition shingle roofs. Over the years, our roof maintenance and repair services have helped thousands of homeowners and business owners, thus allowing us to establish a reputation for providing exceptional quality, affordable roofing maintenance and repair services and a detail to customer service throughout our southern California service area. At Rooftoppers, we specialize in performing commercial, industrial and residential roofing repairs. It is our goal to delay the need for a costly roof replacement by extending the life of your home’s existing roof for as long as possible. To this end, before your contractor will suggest a roof repair service, he or she will perform a comprehensive roof inspection, during which he will first check for loose or missing shingles or shakes, tile slippage or cracked tiles, damage to metal roof panels and bubbling, blistering or exposed paper on gravel flat roofs or cap sheet roofs. Then, your contractor will check for ridge cap integrity issues and pinpoint the source of the leaking roof; evaluate the roofing system to determine where new leaks may form in the future. 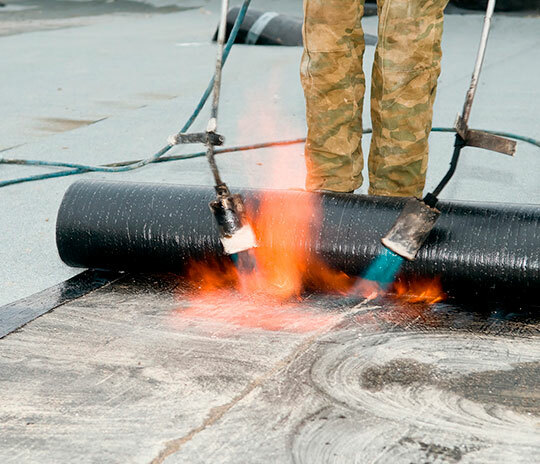 The contractor with whom you work will also assess the functionality of the roof’s paper underlayment and sheathing and assess the condition of the roof’s flashing around penetrations and in transitions such as roof to parapet connections, roof to wall connections and in roof valleys and crickets. The inspection also includes a comprehensive examination of the soundness of the concrete mortar on tile roofs, and your technician will check for debris buildup in your rain gutters, roof drains, crickets and valleys. Following this evaluation process, we will provide a free estimate on any needed maintenance or roof repair services. At Rooftoppers, we perform all roof repair services with the long-term functionality and health of your home’s roof in mind. No repair job is too large or too small for our experienced, skilled roofing professionals, and we pride ourselves on getting to the source of the problem right away before we resolve the issue in the most affordable and effective way possible. We carefully match your new roof to its existing material, and precision-install all repairs to perfectly blend with the existing design layout. If you’re in desperate need of a leak repair professional or you want to learn more about our services, please contact Rooftoppers today. We offer our affordable roof repair, preventative maintenance and roof inspection services to all of southern California, including free estimates throughout our service area. To speak with an experienced, qualified professional, please call Rooftoppers today at (800) 548-2586.